Walk down the aisle without breaking the bank! 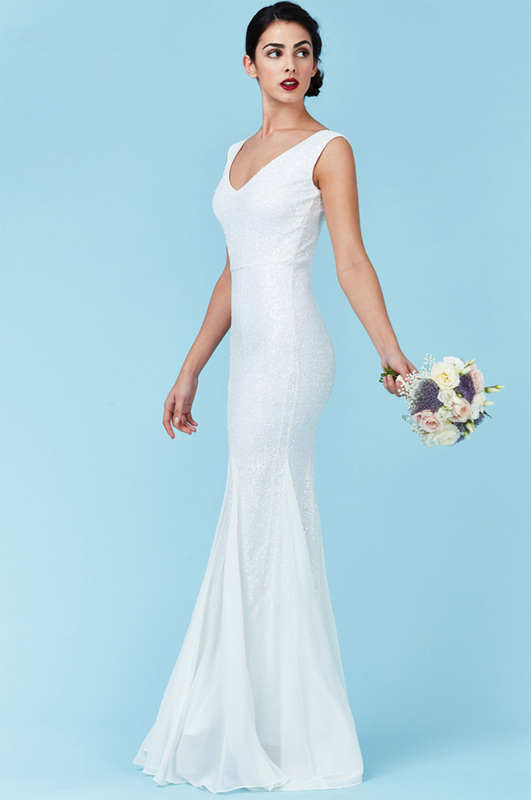 We adore this gown whether for the bride or bridesmaids! Getting married but don’t want to blow the budget on your dress? This is the dress for you! This dress will hug your curves in all the right places. The slight plunging V neckline adds a little bit of drama to this glamorous gown and the chiffon detail at the end adds elegance. Perfect for any Bride, debs, prom or formal or even as a super glamorous bridesmaid dress!